Dixons records Christmas sales drop of 5% | What Hi-Fi? 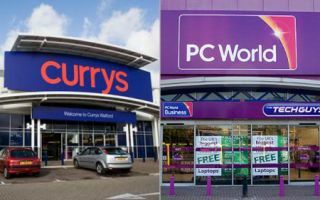 Dixons, owner of Currys and PC World, recorded a 5% drop in sales over Christmas. In a trading update, the firm said like-for-like sales fell 5% in the 12 weeks to January 7th, 2012. In the UK and Ireland, like-for-like sales were down 7%. Analysts had predicted a sharper fall. Online has become increasingly important for the business and now makes up 19% of sales across the group. Chief executive John Browett called the result a "solid performance" with consumer confidence still "fragile". He added that Dixons – which operates 640 stores in the UK under its various brands – would take a "cautious approach" in the year ahead. Electrical retailers have had a tough time of late, with Best Buy announcing in November that it would close its UK stores, and Comet was sold by its parent Kesa Electricals to a private equity group for £2.